Meet Australia’s first female aboriginal search & rescue drone pilot – 23 year Rajarni Gibson of Fingal in New South Wales, Australia. Rajarni was part of a team of 9 aboriginal pilots from the Coodjinburra Clan of the Bundjalung Tribe that were trained in August 2018. The history of Fingal’s Indigenous people helping save life goes back many years. History records, that indigenous man Churakai(Juraki), recognised as the original life-saver of the Coolangatta & Greenmount area. Juraki lived 1870’s-1940’s is and recognised as Queensland’s first ever paid life guard. When people came to the border into Coolangatta, Churakai would sit on Greenmount Hill and watch people swim to make sure they didn’t drown,” This was noted in the committee minutes of the Greenmount Life Saving Club (established in 1909 – the 1st in Qld.). He had performed many rescues and received a Letter of Commendation in 1911 from the Royal Humane Society of Australasia (whose patron was King George V). As a death on our land is against our cultural responsibility it was important that Juraki did his job and it is said that Comi one of the main elders of our tribe and Juraki’s dad made him do the job. After rescuing many people from the notorious Tweed river and off the beach at Greenmount and surrounding beaches, the resort owner at Greenmount paid Juraki to watch over the guests at the Resort. Rajarni’s aboriginal culture is synonymous with a deep understanding of the earth, the elements and ultimate connection to life and therefore sharing with those in need, was part of the Custom. 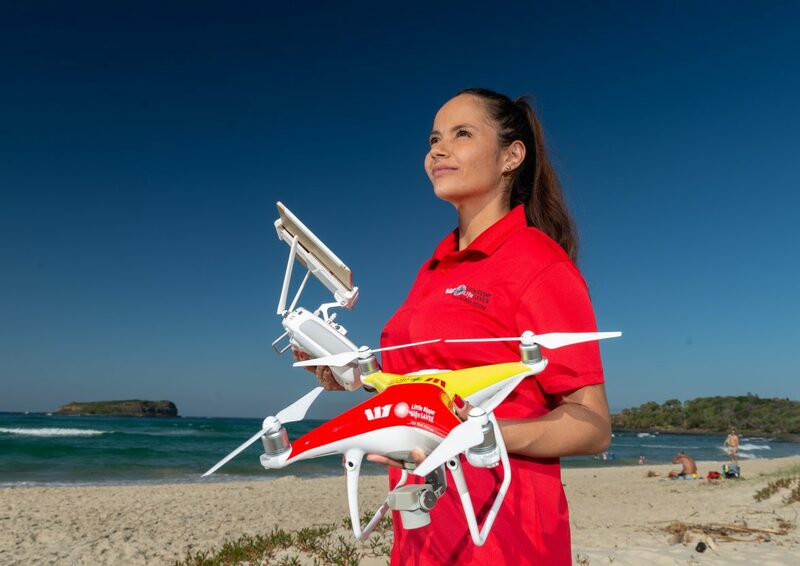 One of the options was using drones for surveillance and rescues and after talking to the local elders about drones, Westpac Little Ripper offered support to come in and train the group and supply a Westpac Little Ripper Lifesaver drone. Thanks to Westpac and The Ripper Group, (Australians most famous search and rescue drones) this has come to reality, as we now have qualified Drone pilots and we have just completed our sub 2 kg training. The youngest pilot is 15 years of age, and the oldest is Uncle Kevin, our elder at 68 years of age. Rajarni said, “I am proud to be part of a ground breaking initiative by The Ripper Group to train the traditional custodians of the Fingal Beach area in northern New South Wales, to patrol their ancient lands with cutting edge drone technology.